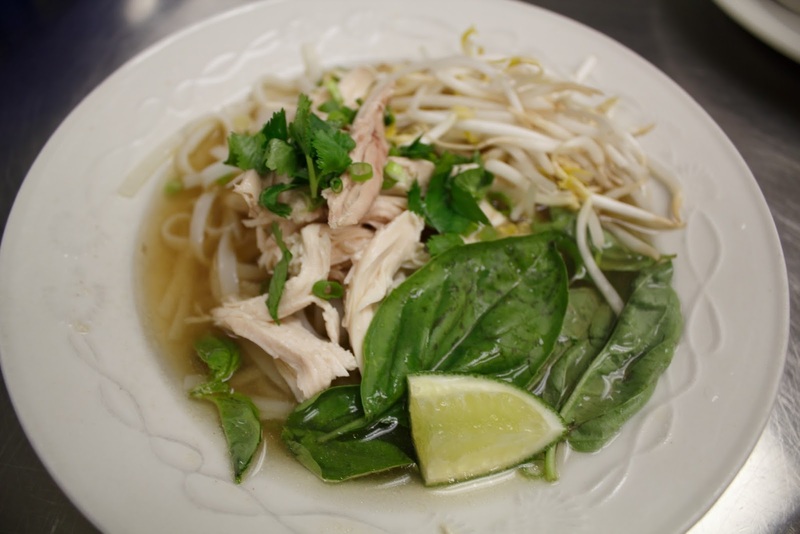 Want a meal with the most authentic Vietnamese cuisine using the freshest ingredients? Come down to Pangea Cafe in the Memorial Union on May 26, 2016 from 10:30 am-3:00 pm and reserve your seat at the table! We invite you to open your senses and titillate your taste buds with over 6 authentic Vietnamese style dishes. 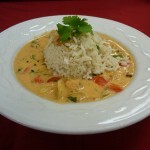 Our menu serves the dietary preferences of all crowds. Including: Gluten-free, vegan, vegetarian, and meat lovers alike. Tough workout? Why not feed your muscles with a chocolate milk treat. A study in the American Journal of Clinical Nutrition found that, when taken immediately after exercise, milk based proteins promote greater muscle protein synthesis. Cows milk contains 80% casein protein and 20% whey protein. This is a nice balance between the fast acting whey protein, allowing amino acids to immediatly get into the muscles, and the slower digested casein protein, providing a steady stream of amino acids over a longer period of time. 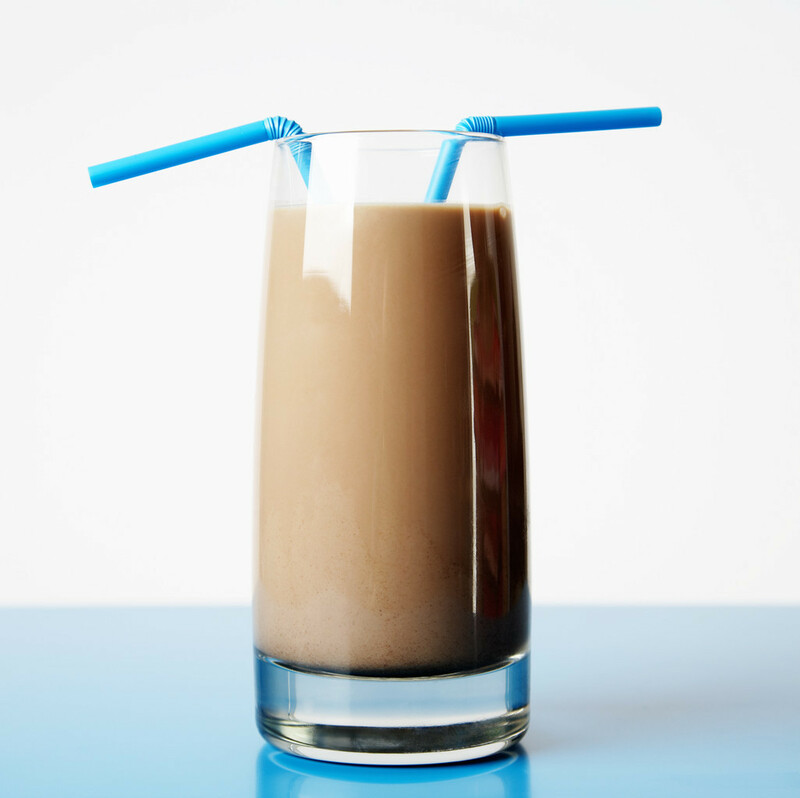 Chocolate milks benefits are two fold, while helping you build muscle it will also aid in your recovery period. Providing you with a total carbohydrate content between 20 and 25 grams; the sugars create a spike in insuline leveles driving the glucose molecules straight into the muscle tissue, replenishing the energy stores for your next workout. If this was not enough to sway you consider the added benifits of Calcium, Vitamin D, Sodium and Sugar, that also help you regain energy and retain water. In addition, its high water content replaces lost fluids from sweating, assisting in preventing dehydration. Go ahead and give it a try! Pick up a Chocolate milk post work out at Dixon Cafe. To see its benefits be sure to drink right after a strenuous workout. With much anticipation MU Retail Food Service’s newest location will finally open its doors July 9th! Our grand opening will coincide with Summer Sessions Summer Fun Break in the MU Quad. North Porch has been an idea growing in the MURFS garden for a while now, to tell you all about how it came to fruition we made a little video to share our excitement for this new location! 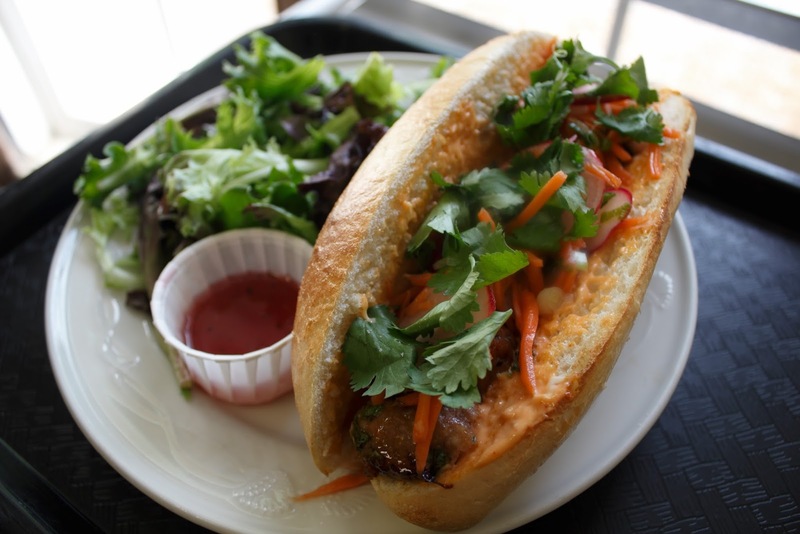 Be sure to join us July 9th and try some delicious banh mi Sandwiches and curry rice bowls! and have great paths ahead of them! Explore the food of the world today with NUTR 447 class’ presentation of Around the World at Pangea Cafe, where they will be dishing out world fare like German Bratwurst, West African Mafe Stew, Mexican fish Tacos and much more! To find out what is on today’s menu head over to Pangea’s Daily Specials or better yet come down anytime between 10:30 AM and 3:00 PM to try some good food! Today NUTR 447 is presenting A Taste of Asia, in Pangea Cafe. A sample of what you can expect on today’s menu: Fresh Spring Rolls, Korean Beef, Daal Curry, Spicy Chicken Wings and more! 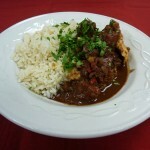 Latin Chicken Mole – Chicken covered in a rich mole sauce of pureed chiles, peanuts, raisins, chocolate, cumin, and cinnamon. 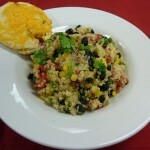 Served over rice with a side of corn salad. 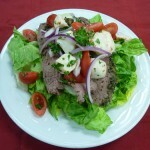 Get ready for some mouthwatering meals being prepared right now in Pangea’s kitchen! 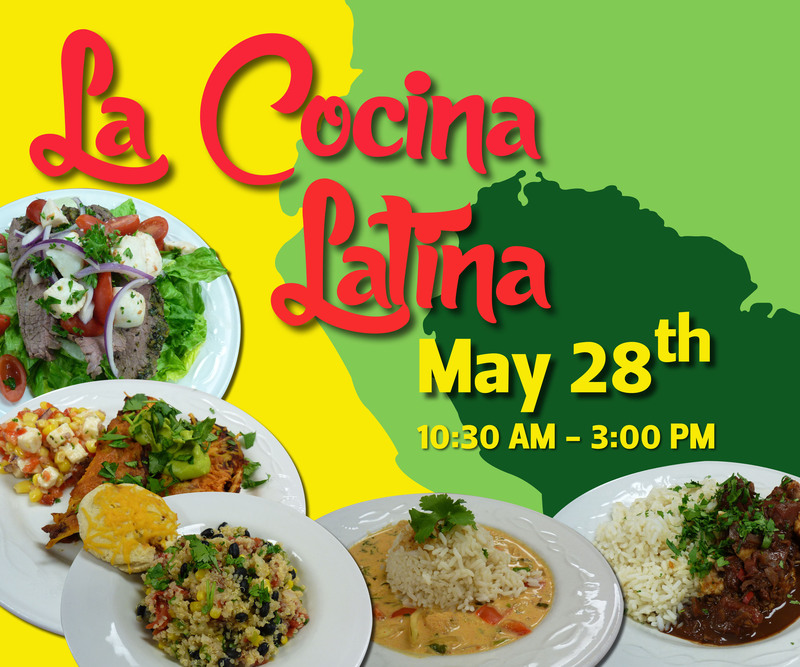 La Cocina Latina’s menu will be served starting at 10:30 Am today! Come down to Pangea to enjoy a sampling of NUTR 447 class’ presentation of La Cocina Latina. 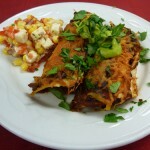 You can look forward to finding some deliciously prepared latin dishes like Sweet Potato Black Bean Enchiladas, Peruvian Ceviche, Argentinian Steak Salad and more! It’s a rainy Tuesday afternoon and the students in Robyn Jones’ Food Service Marketing and Management class are hard at work. These culinary and dietetics students must work together in groups of 12 to design a menu and a marketing plan to take over Pangea Café for a day. Essentially each of these students will act as restaurant owners for one day and on top of that, their recipes must meet certain nutrition and costing criteria. This class makes Hell’s Kitchen look like a walk in the park. But the students are up for the task. 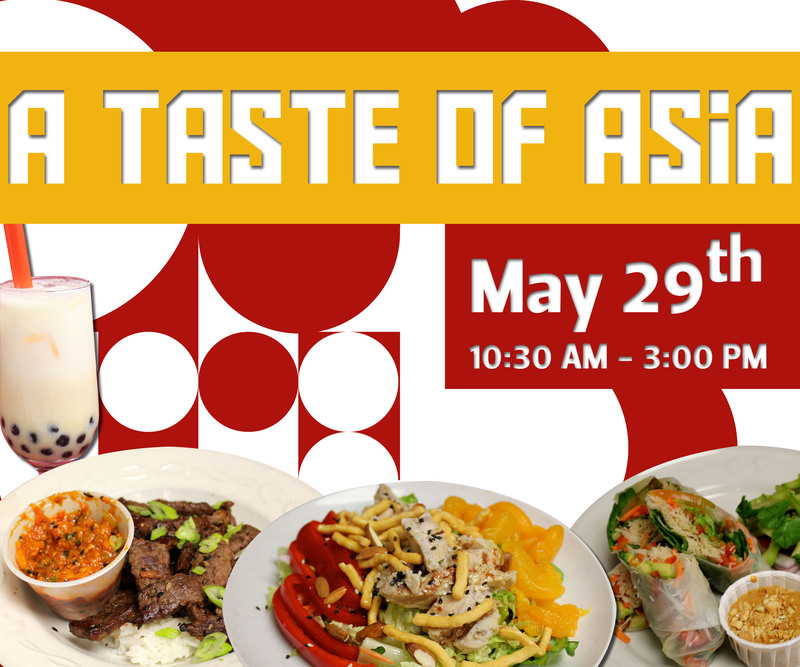 Our group, A Taste of Asia, is very excited to bring a little piece of the Far East to the Northwest Thursday May 29th! Through our collaboration, teamwork and creativity, we have created a cohesive menu that features delectable dishes from India, Thailand, China, Korea and Vietnam. 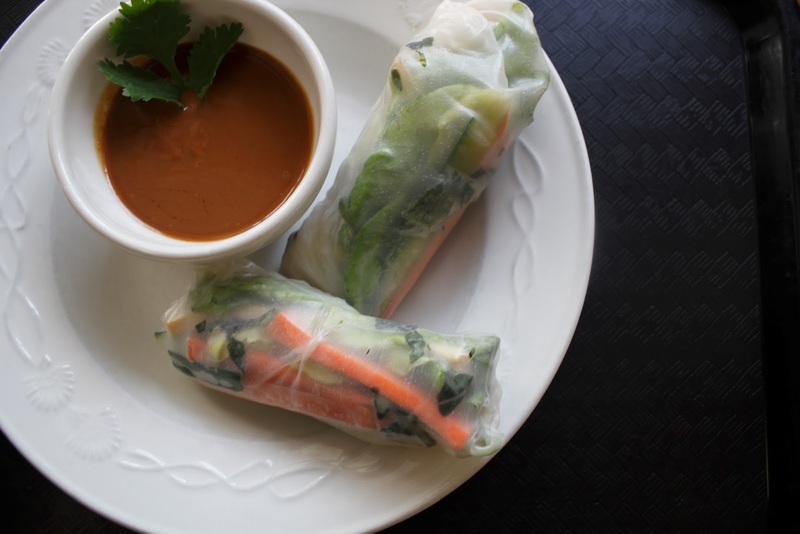 Choose from fresh Vietnamese spring rolls, bubble tea, curries, spicy Korean beef, mango sticky rice and more! Vegan and gluten free options available. With the end of the term comes a very big goodbye for JavaStop! 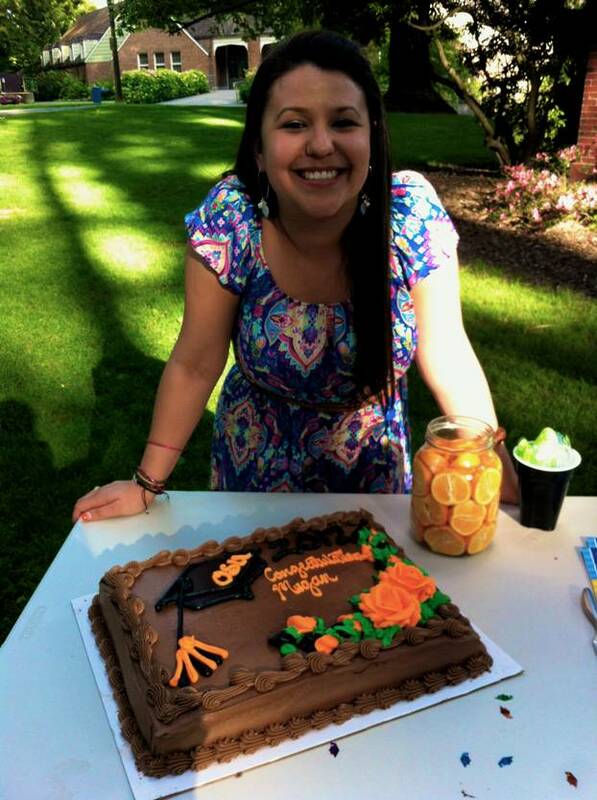 Our Megan is graduating and starting a new exciting chapter of her life! 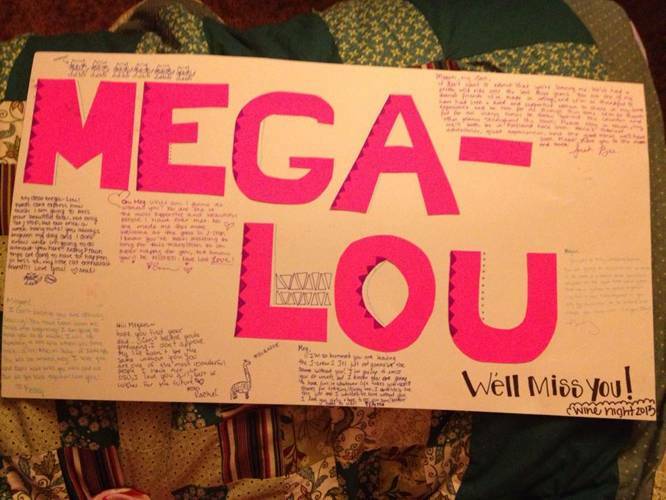 We wanted to put together a little send off with some messages and photos from her fellow staff/family! “With Megan, I can’t possibly think of only one special moment. Having known her for nearly 3 years now, I have spent countless hours in women’s studies classes with her, lazy afternoons with her kittens, and even played the worlds LONGEST game of pool, roughly 2 hours. Let the record show, that I won that game. Megan was also one of the first people I met at Java Stop. She even interviewed me! So I have to say, thanks Megan, with out you, I wouldn’t have this job. When I say that Megan is one of the kindest, most hilarious people I have ever met, I truly mean it. 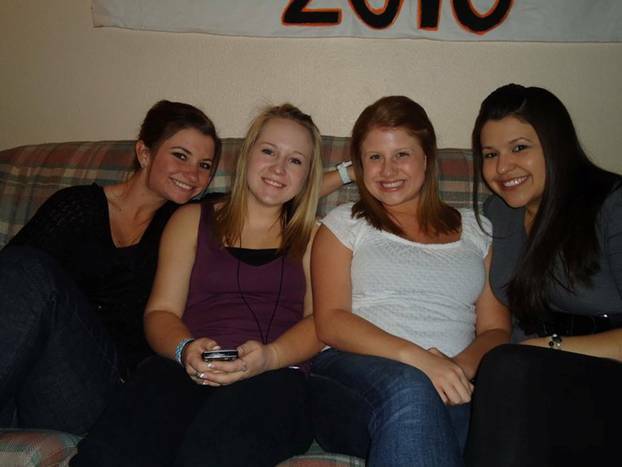 She has this amazing ability to make people instantly comfortable, whether she’s known you for years, or just met you. 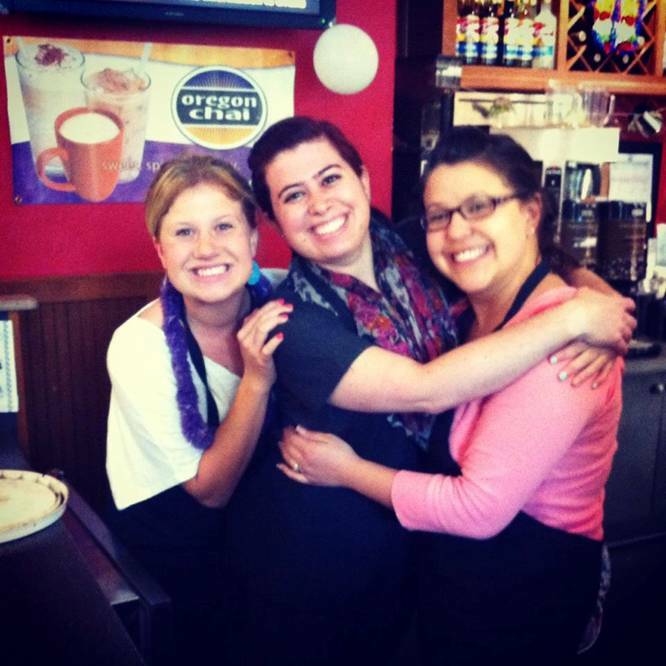 That is one thing that I can never express enough gratitude for, because it made me feel so welcome when I started working at Java Stop. I had no idea when I was hired that I would gain, not only a great co-worker, but an incredible friend. Which makes saying goodbye that much more difficult. 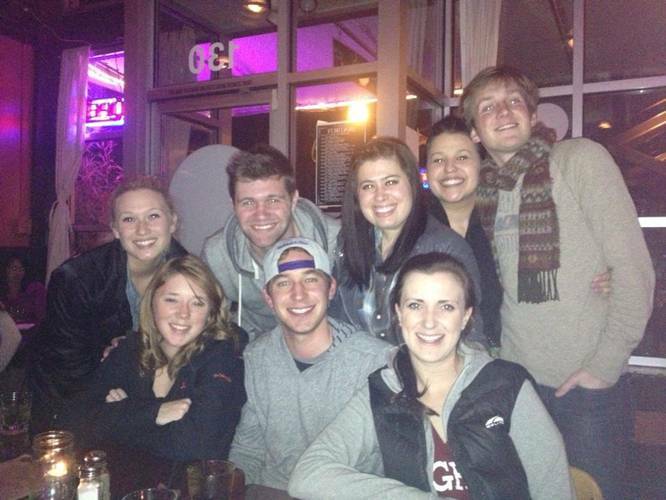 A night out with some of the Java Crew. The last is a poster some of the Java girls wrote on after a mini-farewell party. Mornings at JavaStop will not be as bright without your smilling face! Thank you Magan for all the great times! We look forward to being a part of the next chapter of your life, some back and see us!